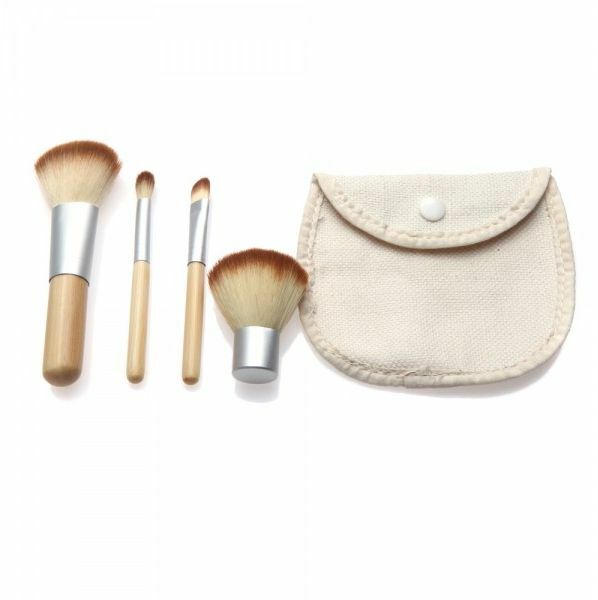 The 4PCS Natural Bamboo Handle Makeup Brushes Set for a quick application and professional-looking results. It is a good gift for your lover,family,friend and coworkers Make you charmer,elegant and beauty very day Good for going party,banquet or daily life. Brand new and high quality. Different type of brushes cover different functions. Great for professional use or home use. Each brush packed in a plastic bag. Soft and comfortable for use, perfectly for both Studio and Personal use.